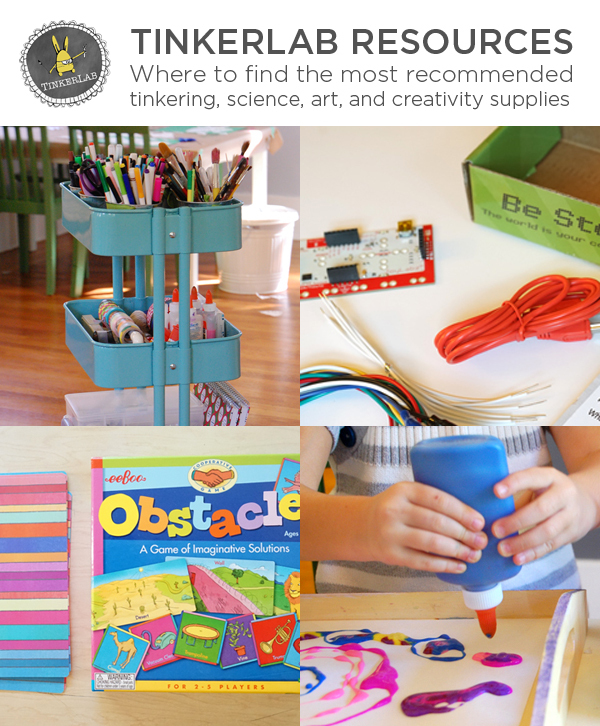 I’m often asked to share TinkerLab Gift Guides, so this year I’m finally diving in. 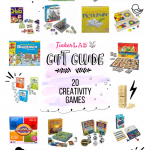 This is the first of the TinkerLab Kids Gift Guide Series that highlights favorite toys, books, and tools that encourage creativity, curiosity, and imagination — skills that will help children become the inventors and innovators of tomorrow. 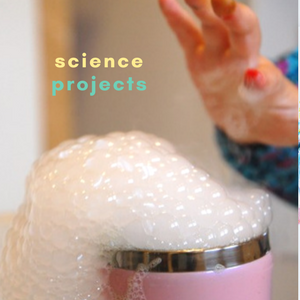 Making and building encourage creative confidence and support inventive thinking skills. 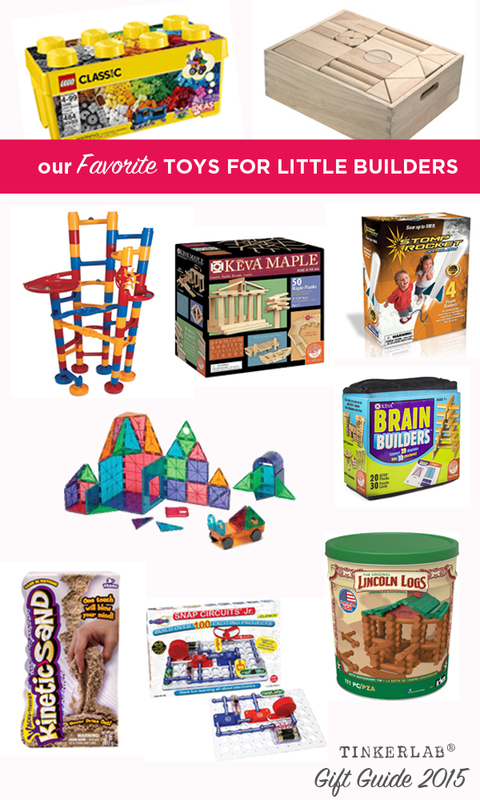 My girls, ages 5 and 7, have long loved building toys, and these are our top choices. If you’re a fan of Lego®, scroll to the bottom for some of our favorite Lego highlights. I’ll include prices to help you sort through different price-points. Keep in mind that these are subject to change. This list contains affiliate links. We’ve had our set since my oldest daughter was three, and it’s still one of our most popular toys. Every time the kids use it, a new design emerges. 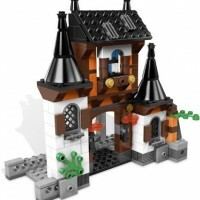 This set comes with 60 pieces that offer so many options for building hundreds of different runs. 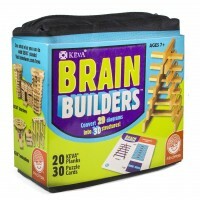 These durable blocks are a solid choice for preschool builders. They’re the same style of blocks you’ll find in many preschool and kindergarten classrooms and are a wonderful choice for little hands. My kids add small action figures, sea shells, twigs, Lego, and other objects to their creations. Lots of open-ended play here. 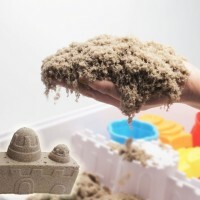 We first played with this sand at Brookstone, and my children could not be pulled away from the store. Frankly, I couldn’t either. The texture is mesmerizing, and it does wonders for calming the senses. On the building side of things, the experience is like playing with sand at the beach, without the wet mess. 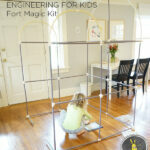 My kids add small toys to their sand tray, and hours of imaginative play emerge as they build forts, castles, and tunnels. This has been my go-to birthday gift for children ages 3 and up. And now, bonus, it glows-in-the-dark. 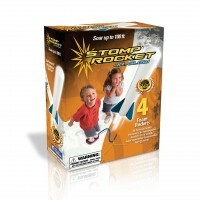 The rockets shoot up to 100 feet in the air and it’s a great way to get the kids outdoors for hours of fun. It’s also one of the most affordable gifts with a lot of bang for the buck. Add a refill packet for continuous fun. 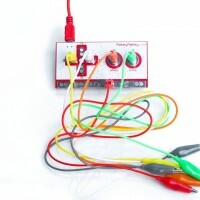 This toy really opens up the mind to the possibilities of electronics and invention. My girls have loved the experience of turning fruit and playdough into a piano keyboard. Build, invent, and imagine. Learn about electricity and discover what can happen when you close a circuit. No special software needed — it hooks up to to your Mac or Windows computer with a USB cable. 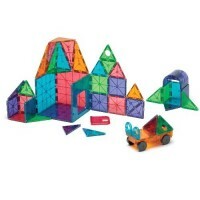 These high quality magnetic blocks are captivating for kids and adults. 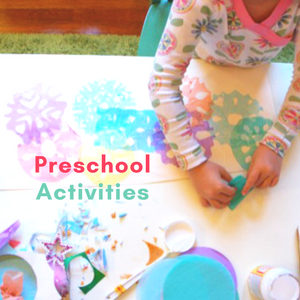 They recommend them for ages 3 and up, but our 2-year olds have loved them. The only problem is that they’re not inexpensive and you’ll want to buy multiple sets 🙂 This may be one to ask grandma to splurge on. Encourage your mini builder to create her own design with a fun toy drill. 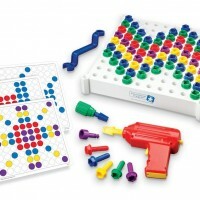 Build hand-eye coordination, creative thinking skills, and pattern recognition. This is such a cool toy. 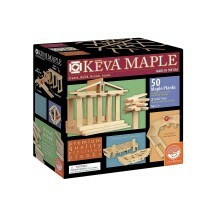 This building and balancing game encourages fine motor skills, building, and creating. 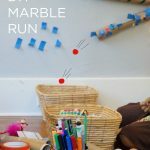 It comes with cool challenge cards for children to follow along with as a inspiration for building. This one takes me back! 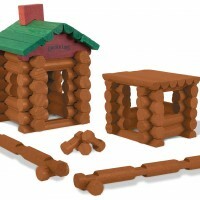 We were lucky to find an original set at the thrift store, and my kids adore playing and building with these logs. 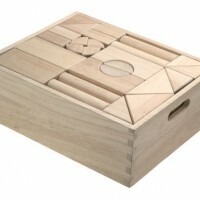 If you can’t find the original, this set includes 111 all-wood pieces for a quick trip down memory lane. 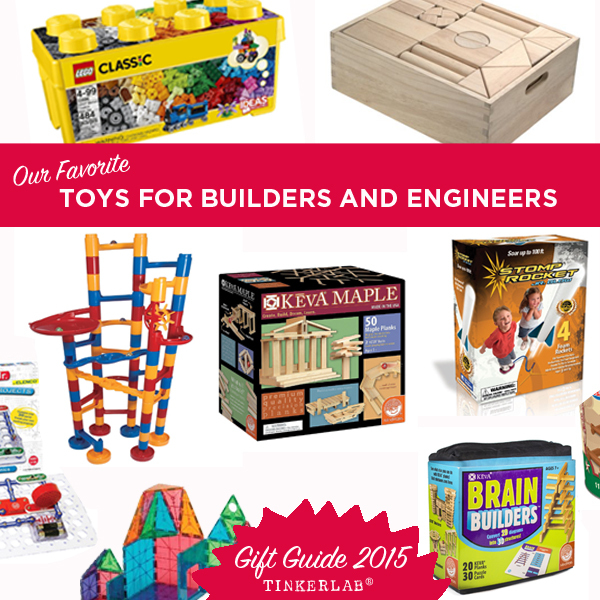 These little planks can be layered in multiple ways to create building, ramps, and more. 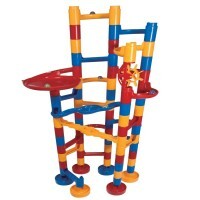 The set includes a couple balls for adding to a homemade marble run. 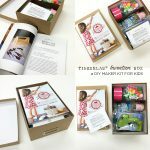 It also includes an instruction kit with pages of inspiring ideas of things to build. 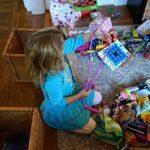 We adore Lego, but perhaps my favorite of all Lego items is to provide my kids with a big box of pieces for open-ended creative play. 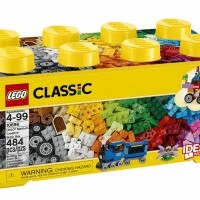 This starter box is filled with 484 colorful pieces and you will not be wanting for ideas (maybe just more Lego). The MBA sets are one of the cooler things to come out of Lego, and do a great job at encouraging imagination and creativity. These sets take you behind the scenes at LEGO and share building tips and techniques from Lego designers and builders. The sets include Designer Handbooks, building instructions, and expert tips. 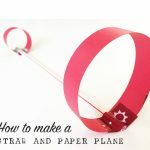 You can reuse the pieces in multiple ways while thinking like a designer. Love. My kids have a small collection of these going, and they make great stocking stuffers or goodie bag fillers. 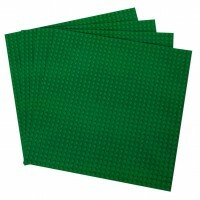 If you like Lego, pick up this set of 4 bases to build small worlds on top of. These are great. Compatible with Lego and they come in many colors. 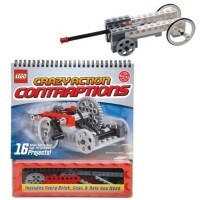 Klutz and Lego have teamed up to bring us this cool kit that turns Lego pieces into moving contraptions. This set adds movement to your Lego and will support imagination-building and creativity along the way. 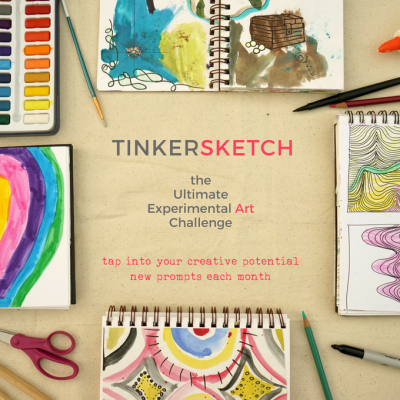 If you enjoyed this post, you’ll want to sign up for the FREE TinkerLab newsletter. 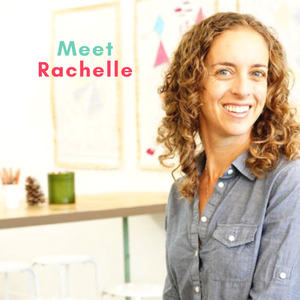 I often send exclusive content and opportunities that are only available to our subscribers. 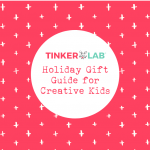 Do you have tinkerlab gifts or ideas specifically or more geared for teenagers? Oh, great question! 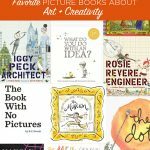 I have little kids on my mind at the moment, and will have to pull something together for teens. Brilliant idea. Thank you. The prices you are showing here are really off!